Match tasty fruits as you travel with circus animals through the USA, France, Germany and other amazing countries. 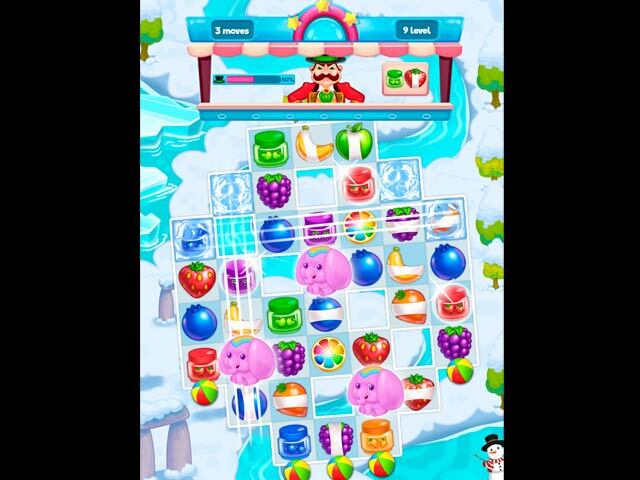 Ride the air balloon to make your way to dozens of colorful lands in this match 3 adventure! Join the circus animals and feed them fresh fruits. The circus clown, Bim Bom, will always help you in your adventure. He likes colorful balloons, so see if you can find them all. Also, help Lily the rabbit find her missing children. 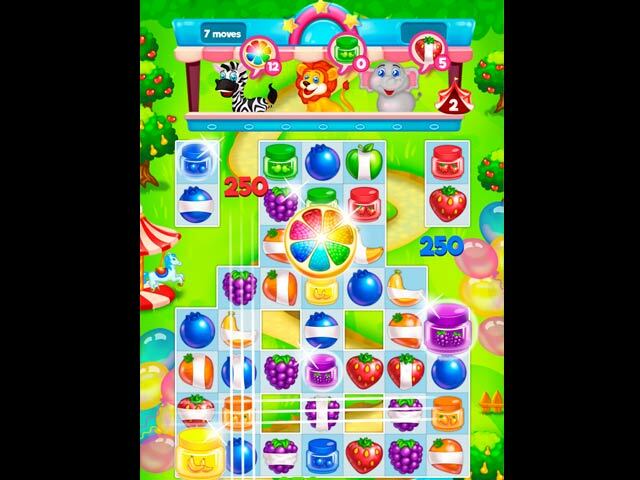 Complete these and other tasks as you play fun match 3 puzzles in Madagascar Circus! 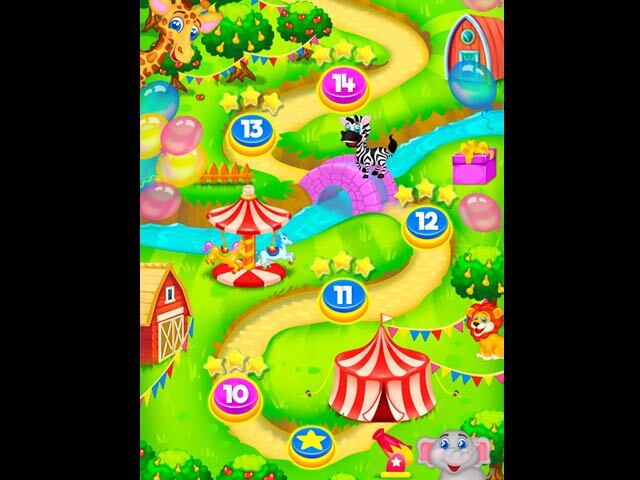 If you like Madagascar Circus game, click to start Madagascar Circus download. 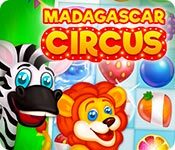 Sign-up to get informed when the Madagascar Circus series has new game released with BD Studio Games' FREE bi-weekly newsletter.